Keeping Ireland Moving Since 1919. This year marks exactly 100 years since JJ Kavanagh & Sons Ltd. was founded in its home town of Urlingford, Co Kilkenny. 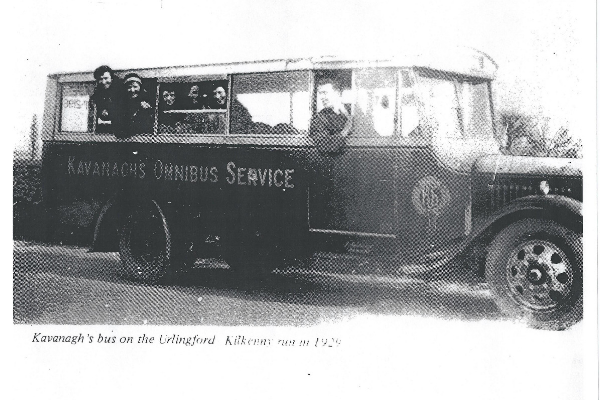 In 1919 JJ Kavanagh and Sons commenced trading when James and Mollie Kavanagh began operating a bus service between Urlingford and Kilkenny twice daily and providing a special excursion service on Sundays. 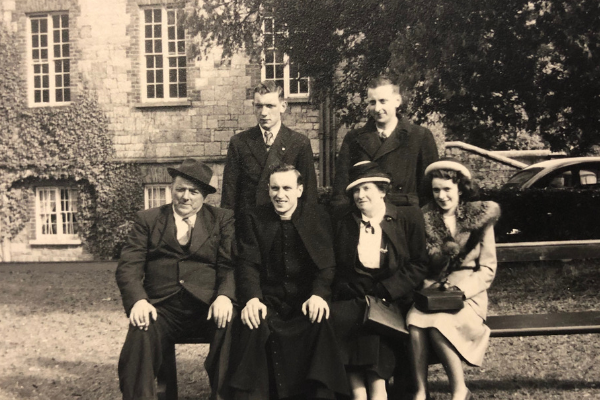 Front Row (Left to Right) James Kavanagh (Co-Founder), Edward Kavanagh, Mollie Kavanagh (Co-Founder) and Kitty Kavanagh. Back Row (Left to Right) Jim and Matthew Kavanagh. James and Mollie’s two sons Matthew and James assisted in the development and expansion of the business in the 1940’s and ran it very successfully for 40 years. During this time the company gradually expanded, increasing fleet size and routes served, including the introduction of several daily rural bus services serving villages and towns across the South East. Throughout this period, the company also operated a very successful wholesale newspaper distribution business serving over 1,500 customers throughout the South of Ireland. Matthew passed away in 1986 and his two sons, JJ and Paul, who were already working in the business, took on the roles of Joint Directors and General Managers. Under their leadership and direction, the company has expanded rapidly to become Ireland’s largest private coach operator. Successful development and growth over the past 100 years has come about through the process of listening closely to consumers and responding proactively to their needs. JJ Kavanagh & Sons continues to operate successfully with the support of a 250 committed workforce who perform their jobs competently, professionally and always efficiently. The company currently operates 300 services daily, carrying over 3.5 million passengers in 2018 with continued growth forecast through 2019. 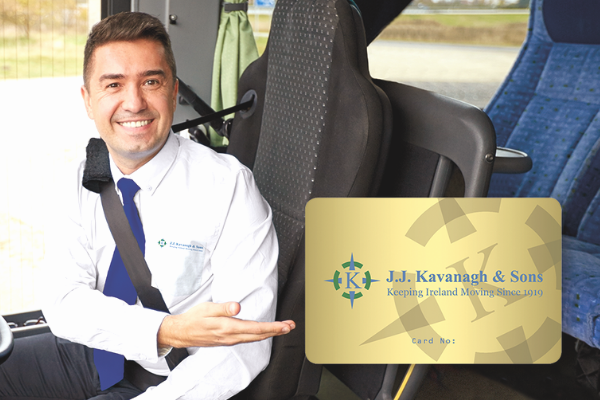 The JJ Kavanagh Bus Fleet covered over 7 million road kilometers in 2018. The significant expansion on intercity routes has been delivered through the acquisition of a number of coach companies across Ireland; in Naas, Carlow, Portlaoise, Nenagh, Waterford, and Clonmel as well as the opening an office in Dublin City Centre. The company also has an operation in England where it acquired Mullanys Coaches in London. This business operates an extensive fleet of coaches and buses in the London area. Tourism is a very important source of revenue for Ireland and JJ Kavanagh & Sons play an important role in ensuring that the country is portrayed in a positive manner to all tourists. 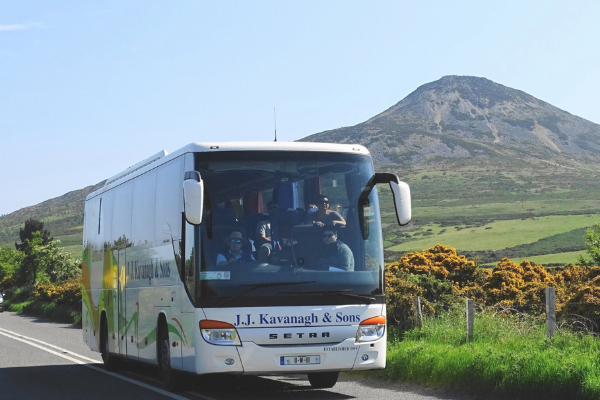 The company works in close association with many incoming and outgoing travel agents across Ireland and Europe by providing luxury transport for thousands of tourists visiting our shores annually. Over the last hundred years, JJ Kavanagh & Sons has developed a proud track record and tradition in Ireland as a brand leader in its sector. To achieve this, the company invests significantly in upgrading and expanding its fleet every year to ensure it is one of the most modern, reliable and comfortable operating in the European marketplace. To maintain its brand leader status well into the future, the company has developed a top-class e-commerce system, providing customers with flexible online booking and payment options including Online Ticket Booking and Smartcard Usage. Leveraging the benefits of modern technology ensures real customer convenience and greater real-time consumer insight on travelling preferences and frequency. At JJ Kavanagh & Sons, our unrelenting commitment to continuous improvement means that we are always looking for ways to enhance customers’ travel experience. The introduction of a contactless card option later this year will enable customers to board their coaches and record their travel with a simple tap of their card. JJ Kavanagh, JJ Kavanagh & Sons Managing Director says, we will continue to listen to customers needs, invest in new vehicles, staff development, and new technologies, placing us in a very strong position to expand and grow our offering over the next 100 years!